One of the gates warning drivers of flooding on Washington Boulevard, located on Highland Drive, at the base of Lemington Avenue, as seen here on Monday, August 29, 2016. 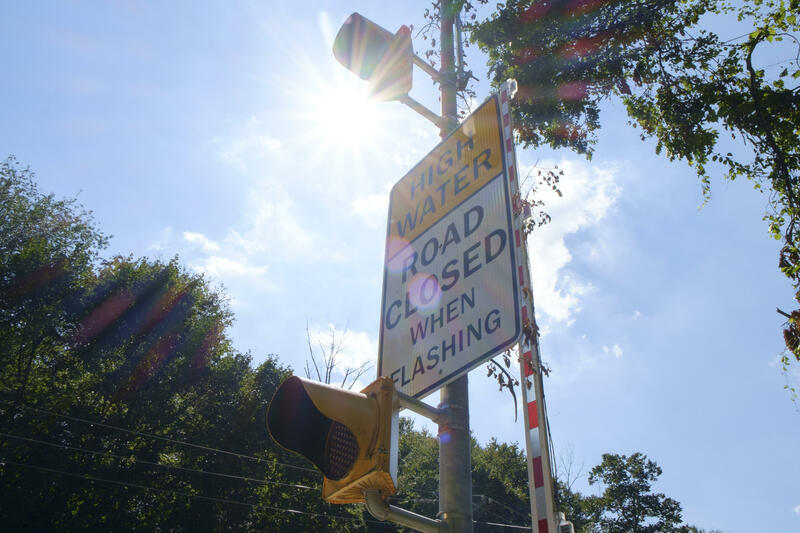 When operational, water pressure sensors cue flashing lights and gates that bar inbound traffic before cars can reach the natural dip created where Washington and Allegheny River boulevards meet. Public Works Director Mike Gable said the city is now working with a contractor to determine why that flood gate system in Highland Park did not work Sunday. Prospect-based Bronder Technical Services will be paid $8,000 for seven to 10 days of inspection. An inspection report will determine what needs to be fixed, Gable said. The city took over operation and maintenance of the system in late June following a meeting with PennDOT, Gable said. City officials initially pushed the department to install flood gates at Washington and Allegheny River boulevards, Washington and Negley Run boulevards and Washington and Highland Drive, following the 2011 drowning deaths of four people near Highland Park. Public Safety Director Wendell Hissrich details the rescue of a 54-year-old woman from a submerged car Sunday night on Washington Boulevard during a press conference Monday at the City County Building. PennDOT, the Pittsburgh Water and Sewer Authority and the Allegheny County Sanitary Authority collectively paid nearly $2 million in settlement agreements to the families of Kimberly Griffith, 45, of Plum, who died beside her daughters Brenna, 12, and Mikaela, 8, on Aug. 19, 2011 when heavy rain sent water flooding through their minivan; and Mary Saflin, 72, who was picked up by a 9-foot wall of rushing water as she tried to flee her car. Then-Pittsburgh Public Safety Director Michael Huss watched city crews test the gates during their installation the following spring. He told the Pittsburgh Tribune-Review that more than 1,200 public safety employees had been trained in basic water-rescue techniques, and an additional 500 would complete training by the end of the month. Swift-water rescue and boat operation training would be next, Huss said at the time. Hissrich said all police, fire and EMS personnel have been trained in swift-water rescue. They are also equipped with personal flotation devices and water rescue bags. “I’m positive without their valor in attempting to save her … that we may have lost another life on Washington Boulevard,” he said. Gable said he couldn’t speak to what happened during the previous mayoral administration, but the city is stepping in now to take over. It was never clear who was in charge of the system, he said. “Up until June when we met on Washington Boulevard, as far as I was concerned, it was still PennDOT’s system. (No one) officially turned it over to us,” he said. Now the city will check the system monthly – or quarterly, depending on Bronder's evaluation – with the state’s existing checklist. Mayor Bill Peduto said the city will not ask the state for any additional assistance with the gates. Peduto said he’s most concerned with issue's the root cause. Peduto said the city is working with international engineering firms to stop the water before it gets to Washington Boulevard. 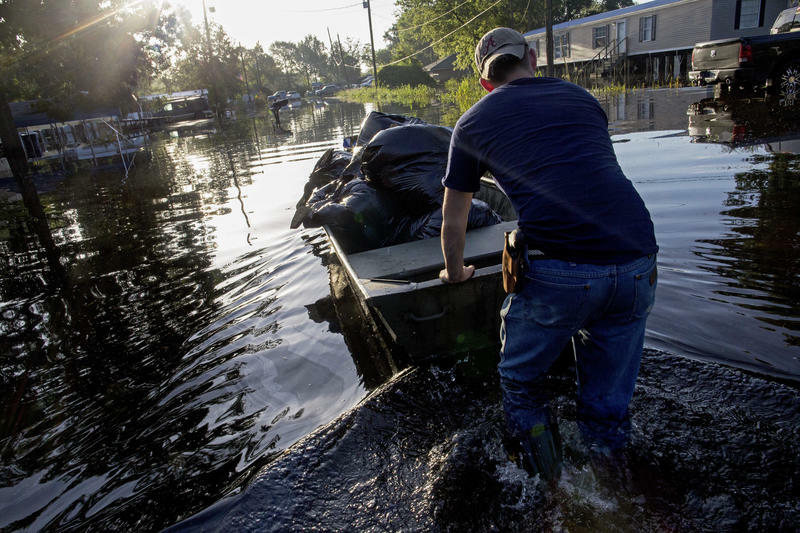 He said 80 percent of flooding issues, from streets to backed-up basements, occur in 20 percent of the city. The solution is to “make those areas a sponge rather than a funnel,” he said. In 1910, Frederick Law Olmsted, Jr., then one of the nation’s foremost landscape architects, outlined a plan for Pittsburgh. It detailed his thoughts on how city leaders should handle development around Pittsburgh’s major roadways and rail corridors. Saw Mill Run has flooded for decades. Its watershed association welcomes the community to an outreach event and film screening at 3 p.m. Saturday at the Hollywood Theater in Dormont to spread awareness on common water-related issues and helm conversations a long-term solution. Jersey Shore, Pennsylvania is hundreds of miles from the boardwalk and the beach, but mere steps from the Susquehanna River. And while no one has made a reality show about this sleepy town yet, they do share one similarity with their namesake: flooding.